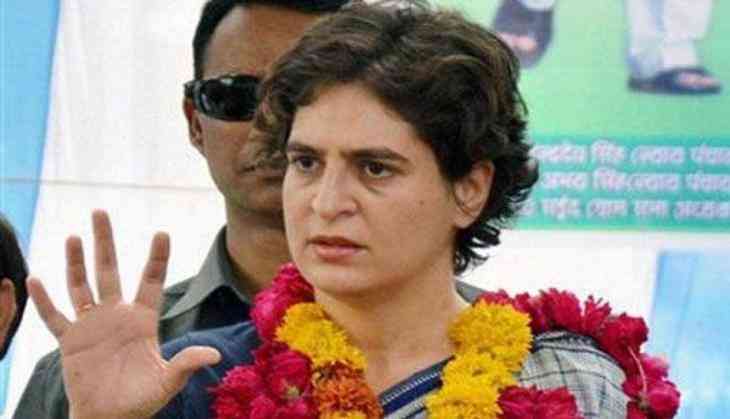 Priyanka Gandhi, who is all set to take charge as Congress' general secretary for eastern Uttar Pradesh today, has been portrayed as Mahishasura in a poster put up in Barabanki in the name of BJP leader Priyanka Singh Rawat. In the poster, Priyanka Gandhi can be seen as the demon Mahishasura while BJP's Priyanka Rawat has been portrayed as Goddess Durga, who slays the asura. Asked about the poster, Priyanka Rawat told ANI, "I have learnt of this only from you. I was unaware of this. I will see who has done it." Interestingly, the posters emerged days after the Bihar Congress disowned posters depicting Prime Minister Narendra Modi as Mahishasura. The posters, which were allegedly put up by Congress supporters, depicted Priyanka Gandhi as Goddess Durga.